On September 12th, NEPA.js held its September meetup. 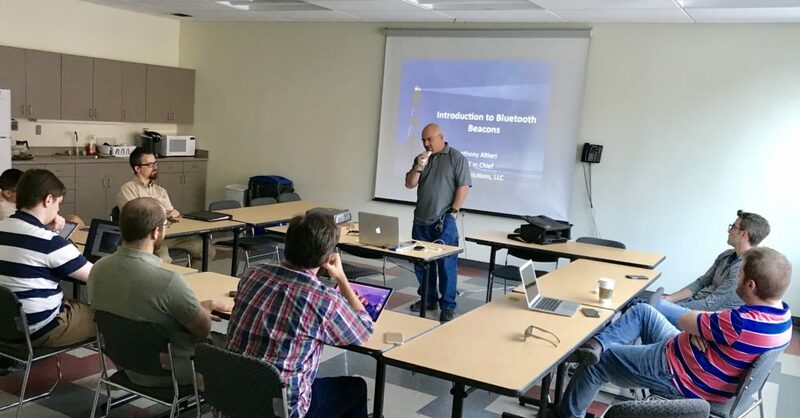 Anthony Altieri presented on beacons – the typically small Bluetooth devices that “chirp” some very basic information multiple times per second allowing app developers to understand the proximity of a user. This allows for things like understanding where a shopper is in a retail space. His overview of the devices, the spec, some of the software, and the differences between iOS and Android, and iBeacon and Eddystone – was a really nice introduction into the space. He did a great job. I learned a lot during his presentation. Thanks to him for putting it together.